Brian Cohen has been Wake Forest’s Program Coordinator for the Office of Sustainability since August 2016. He holds a master’s degree in Environmental Management from Duke University’s Nicholas School of the Environment and a bachelor’s degree in Environmental Studies from Bucknell University. 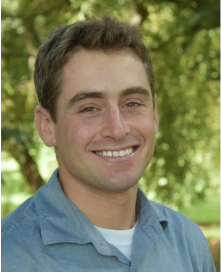 Cohen dedicates his time to improving the level of sustainability across Wake Forest’s campus. His efforts and the Office of Sustainability’s initiatives have recently been brought to fruition, as Wake Forest achieved a STARS gold rating this past year for an exceptional degree of sustainability achievements in aspects of higher education. It’s hard not to be passionate. Sustainability is, quite literally, what our future depends on. We’re at a really precarious time in human history where our collective decisions will have major ramifications for our species moving forward. We can either be complicit in the problem or work towards a solution. Wake Forest recently earned a STARS gold rating that recognized a high level of sustainability achievements in aspects of higher education. How has the Office of Sustainability accomplished this goal? It has really been a team effort. We partner with students, faculty and staff throughout campus to achieve our goals, and we couldn’t do what we do without them. For example, Facilities has been instrumental in installing technology that allows Wake Forest to conserve energy and water. Dining has greatly increased their sourcing of third-party-certified products and has implemented numerous waste-reduction initiatives; an increasing number of faculty are incorporating sustainability concepts into their courses and more and more students are pursuing sustainability as a field of study, a research interest or simply a way of life. Sustainability is a shared value at Wake Forest, and it’s exciting to see more and more members of the campus community making it a priority every year. We still have a lot of work to do, but earning a STARS gold rating is an affirmation that we’re moving in the right direction. Do you have any personal goals in respect to sustainability achievements? My personal passion is working with others and helping them grow into roles as leaders for sustainability. I’d love to continue to increase the number of students, faculty and staff involved in our peer education programs and help them develop leadership abilities that they can use both at Wake Forest and beyond. The Office of Sustainability aims to empower others to lead, and this is where I believe I can make the biggest impact. What are some significant sustainability initiatives that you have supported? Some of the initiatives that first come to mind are the Compost Crew, the Plant-Forward Dining Committee, the Green Team, Greeks Go Green and the Student-Athlete Sustainability Network. The Compost Crew came about due to student interest in reducing the amount of food waste sent to the landfill, and it quickly exploded in popularity. The group also supports our zero-landfill event initiative, which is quickly becoming the norm on campus. The Compost Crew, along with the Plant-Forward Dining Committee, dedicated to encouraging others to prioritize plant-based foods in their diets, are each now comprised of 75 to 80 people. The Green Team is a peer-to-peer network of faculty and staff who are empowered to integrate sustainability into the workplace within their departments. Greeks Go Green is our peer network for students in Greek life and is currently coordinated by two student interns who guide representatives through established peer education frameworks. And as a former student-athlete and coach, I’m particularly passionate about working with the Student-Athlete Sustainability Network, a self-explanatory group that is always welcoming new members. How do you hope to impart the ideal of sustainability to the Wake Forest community? It’s really a combination of methods. Wake Forest students are known for their academic prowess, so infusing sustainability in the classroom is obviously a priority. Peer education is proven to be effective, and that’s a model we use quite a bit. Fun events and celebrations are more important than people may realize — community is a huge part of sustainability — and there’s no reason why sustainability can’t be fun. And leading by example, not just as individuals but as a university, sets the tone for who we are and who we aspire to be. How will you assess the impact that your work has on sustainability? You mentioned STARS earlier, and that’s a great comprehensive tool for tracking our progress. Looking at quantifiable metrics, such as waste generated per person, energy consumed per square foot and students involved in environmental initiatives certainly provides value, but so does assessing the quality of student, faculty and staff interaction and involvement. How do you envision improving sustainability on Wake Forest’s campus in the future? One of our priorities moving forward is the continued development of our climate action plan and how we intend to mitigate our impact on climate change by reducing our greenhouse gas emissions. Besides that, we’ll continue to expand our current projects and seek to empower our students, faculty and staff. We can’t be successful without the rest of the Wake Forest community. Plus, some of our most successful programs have been student-generated, so we always welcome others’ thoughts, ideas and involvement in future initiatives.